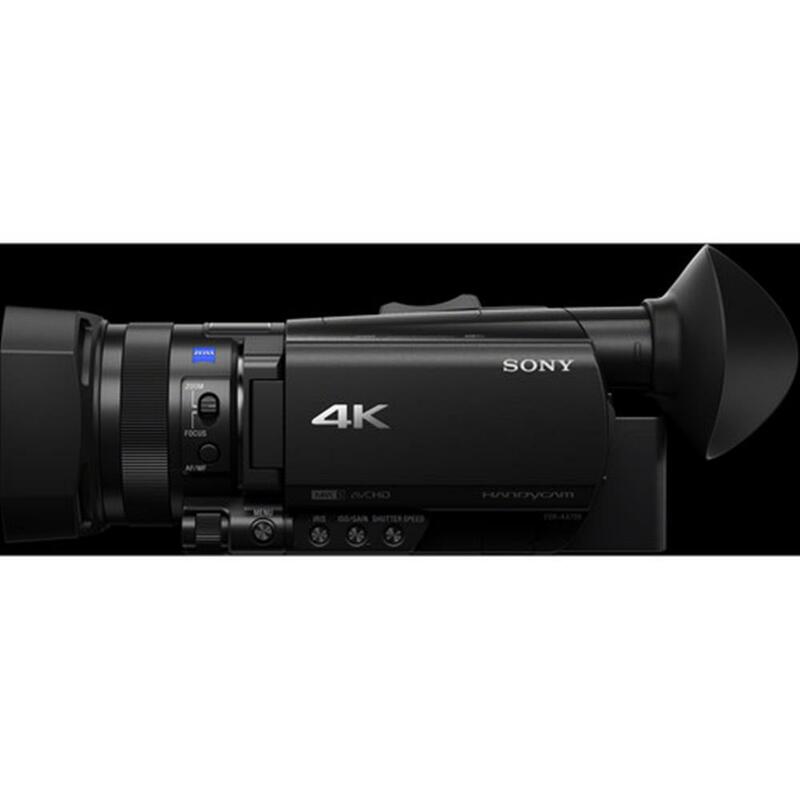 If you've ever been astonished by the depth and beauty of 4K High Dynamic Range, if you've ever longed to achieve these results for your own projects, Sony has the ideal camera. Presenting the FDR-AX700. Small as it is, it packs the most power we've ever built into a palm-sized Handycam camera. 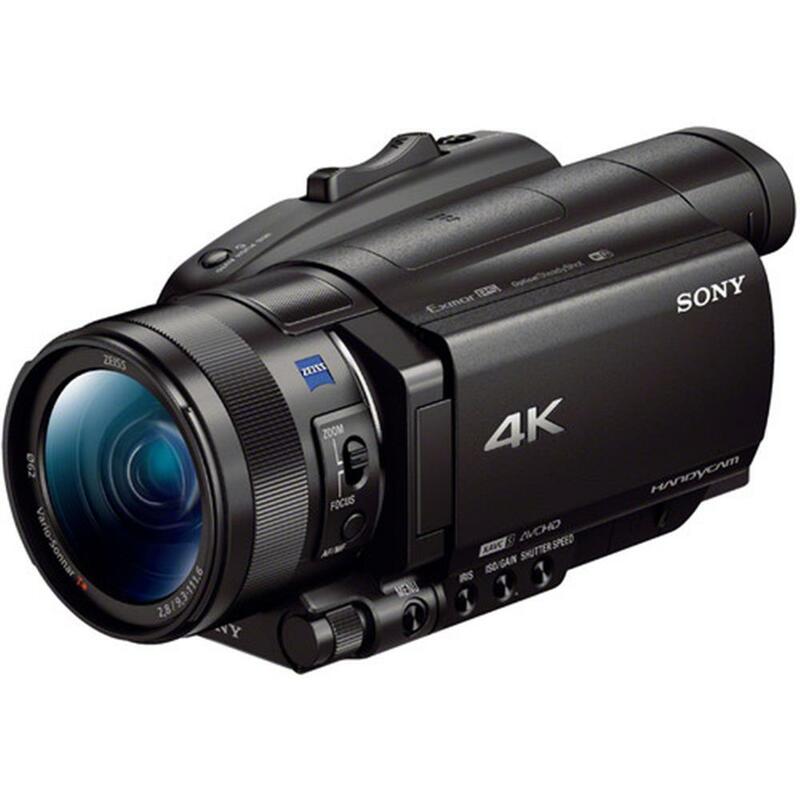 With advances like 4K (3840 x 2160) resolution, Instant HDR, a generous 1" (1.0-type) image sensor and Fast Hybrid Auto Focus, this is the perfect tool for making unforgettable videos. Focus is always important. And it's especially critical in large-sensor 4K imaging. The FDR-AX700 exceeds the need with Sony's remarkable Fast Hybrid Auto Focus system. Using 273 focus points covering 84% of the frame, the system combines the strengths of both Phase Detection and Contrast Detection for unsurpassed results. You can hold focus even on fast-moving subjects such as sports, pets or children at play. Refinements like 4K face detection and object tracking technology make it easy to follow your subject. 4K High Dynamic Range astonishes viewers with visual depth and impact that are less like conventional movies and television - and more like real life. The FDR-AX700 and its professional siblings (the HXR-NX80 and PXW-Z90V) are the first palm-sized cameras to deliver stunning 4K HDR. Sony's choice of Hybrid Log-Gamma (HLG) means that your results will look amazing on both HDR and conventional televisions - without additional colour correction. High Frame Rate shots can turn everyday actions into slow motion ballet. 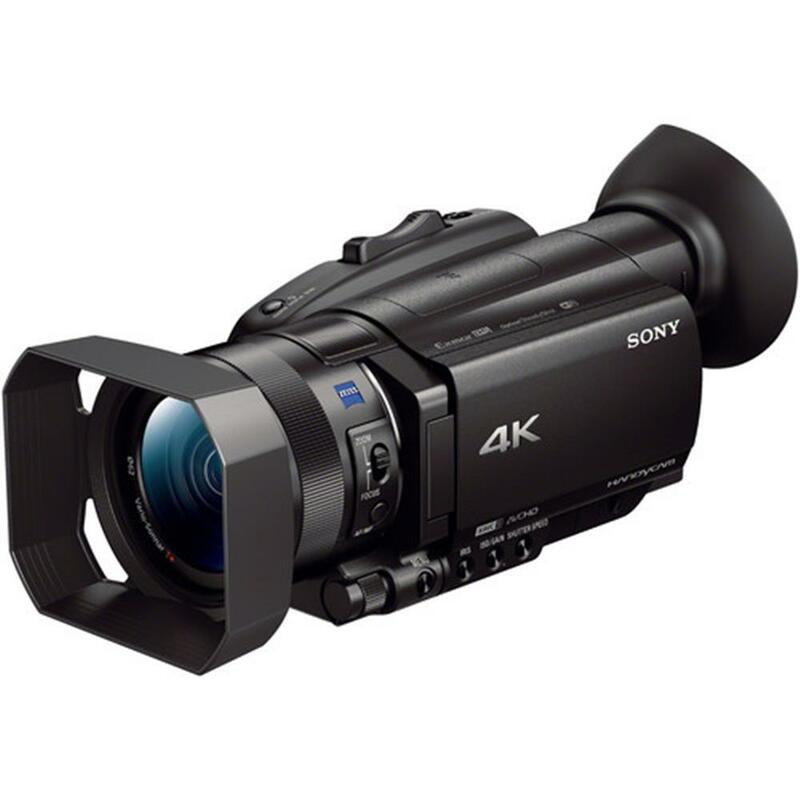 The FDR-AX700 delivers continuous 1-120 frames per second (fps) Slow & Quick Motion in Full HD. For 24p projects, the result is gorgeous 5x slow motion. There's more. You also get beautiful time lapse sequences down to 1 fps. In burst mode recording, the camera achieves even higher frame rates: up to 960 fps at specific resolutions. The 1" (1.0-type) image sensor of the FDR-AX700 dwarfs the 1/2 or 1/3-type image sensors commonly used in palm-sized camcorders. The large sensor makes for more cinematic imagery, with the blurred backgrounds that cinematographers cherish. Technical advances also boost resolution (14.2 megapixels effective), low-light performance (1.7 lux in Low Lux mode) and speed (120 fps in Full HD). To deliver unprecedented performance, the camera features an unprecedented 1" (1.0-type) stacked image sensor. The difference is substantial. More cinematic. Compared to smaller 1/3 or 1/4 type sensors, the 1" (1.0-type) delivers more beautiful background defocusing (bokeh). So you can focus on what you want to show and defocus the rest. Phenomenal low light performance. The sensor features 20 megapixels (14.2 MP effective). Yet thanks to the uncommonly large sensor area and back illumination, low light performance is impressive. Minimum illumination is 1.7 lux (in Low Lux mode). Faster. Sony's "stacked" sensor design incorporates memory, doubling the readout speed compared to a conventional 1" (1.0-type) sensor. This explains the camera's ability to capture up to 120 fps continuous in Full HD or capture 4K reading out all the pixels without binning. Sony also separates the circuit layer from the pixel layer to optimize high-speed performance. And we matched the sensor to the BIONZ X processor and a front-end LSI, both of which help deliver autofocus speed and precision. Fast or unpredictable subject motion can trip up the Contrast Detection auto focus of conventional camcorders. 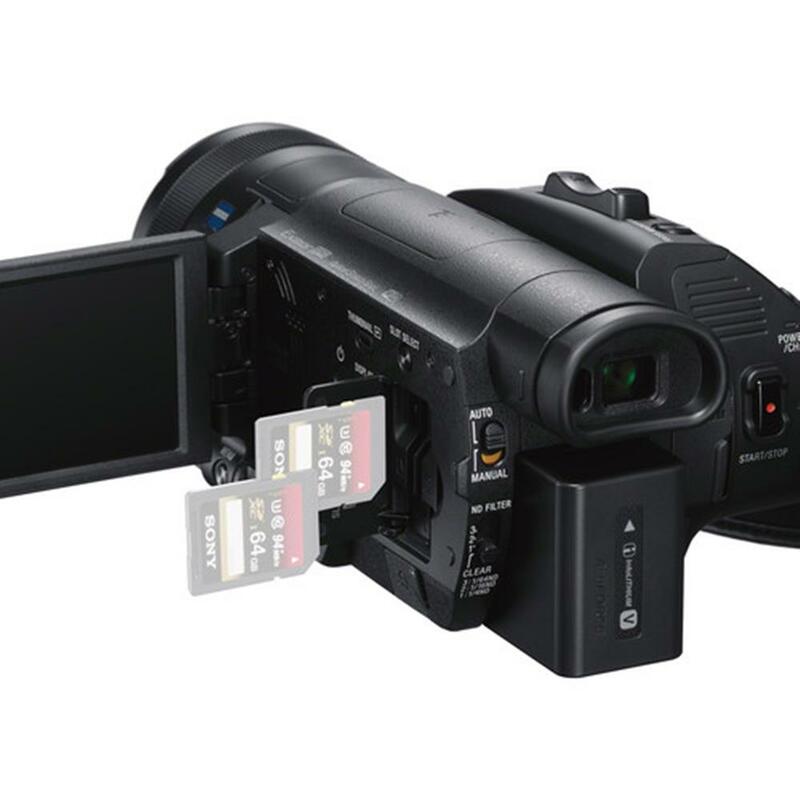 The FDR-AX700 stays ahead of the action using Fast Hybrid Auto Focus (AF). This system combines both Contrast Detection and Phase Detection. So you can lock onto even fast-moving, unpredictable subjects from sports and dance to pets and children. Advanced features work together seamlessly to capture fast-moving subjects with consistent sharpness. Wide AF coverage. For precise focus tracking across the shooting frame, the Exmor RS sensor provides 273 phase detection AF points with dense coverage across 84% of the image area. Fast AF response. Combining phase detection, contrast detection and Sony's high-speed BIONZ X imaging engine, the FDR-AX700 tracks even fast-moving subjects. Reliable subject tracking. High-speed data readout, fast processing and a refined AF algorithm provides precise, reliable subject tracking. Easy AF subject selection. The LCD monitor shows AF frames around in-focus subjects. To select a new focus target, simply touch the LCD screen. AF tracking depth. Select from five levels of depth to track fast or slow-moving subjects without switching to subjects nearby. AF subject switching sensitivity. Select from 1 (Locked On) to 5 (Responsive) for switching subjects as you recompose shots. With the ability to reproduce images from deep shadows to piercing highlights, 4K High Dynamic Range (HDR) is astonishing. With Instant HDR, the FDR-AX700 empowers you to capture High Dynamic Range without complex post production. Hybrid Log-Gamma (HLG) recording captures HDR, yet plays back beautifully on both HDR and conventional televisions. For added versatility, the camera also provides S-Log3 encoding. High Frame Rate shots can turn everyday actions into slow motion ballet. 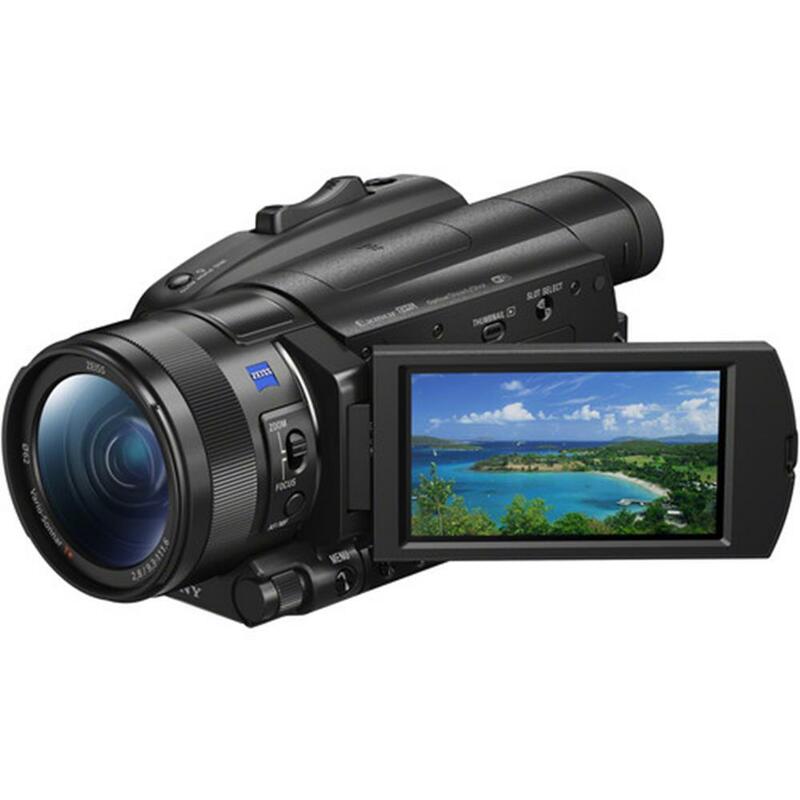 The FDR-AX700 delivers continuous 1-120 frames per second (fps) Slow & Quick Motion in Full HD. For 24p projects, the result is gorgeous 5x slow motion. There's no sacrifice in bit depth and no "windowing" of the sensor. Compared to normal frame rates, there's no crop factor, no loss in angle of view. You also get beautiful time lapse sequences down to 1 fps. And burst mode recording offers even higher frame rates - 240 fps, 480 fps and 960 fps - at specific resolutions. The FDR-AX700 records 4K (3840 x 2160) using the advanced XAVC-S codec at 100 Mbps. And you can capture XAVC-S Full HD. This sophisticated recording system combines stunning picture quality with workflow flexibility and storage efficiency. 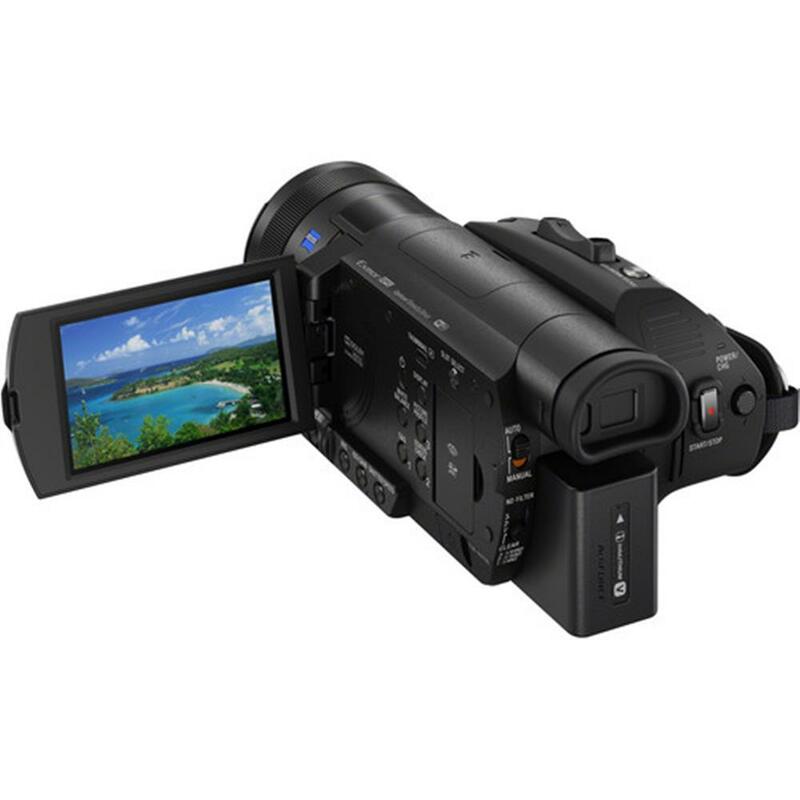 For compatibility with legacy systems, the camera also offers AVCHD recording. The FDR-AX700 comes with 2.4 GHz Wi-Fi as standard. Simply turn on and log onto your preferred network to enjoy advanced wireless capabilities. Ustream Direct Streaming enables you to share scenes as they happen with high quality picture and sound. No switcher required. Smartphone or tablet remote control. You can operate the camera - and view the image - from a smartphone or tablet using Sony's free Content Browser Mobile app (requires iOS 9.0 - 10.3 or Android 4.4 - 7.1 operating system). You can even connect compatible devices with one-touch NFC authentication. A camera as advanced as the FDR-AX700 deserves an equally sophisticated lens. That's why Sony fixed a Zeiss lens of impressive capabilities. 29 mm wide-angle zoom (35 mm equivalent) is ideal for capturing panoramic landscapes. Zeiss T* coatings. This is a Zeiss Vario-Sonnar lens with the legendary T* (T-star) coatings, for impressive contrast and resolution. 12x optical zoom, 24x with Clear Image zoom, 48x with Digital Extender. 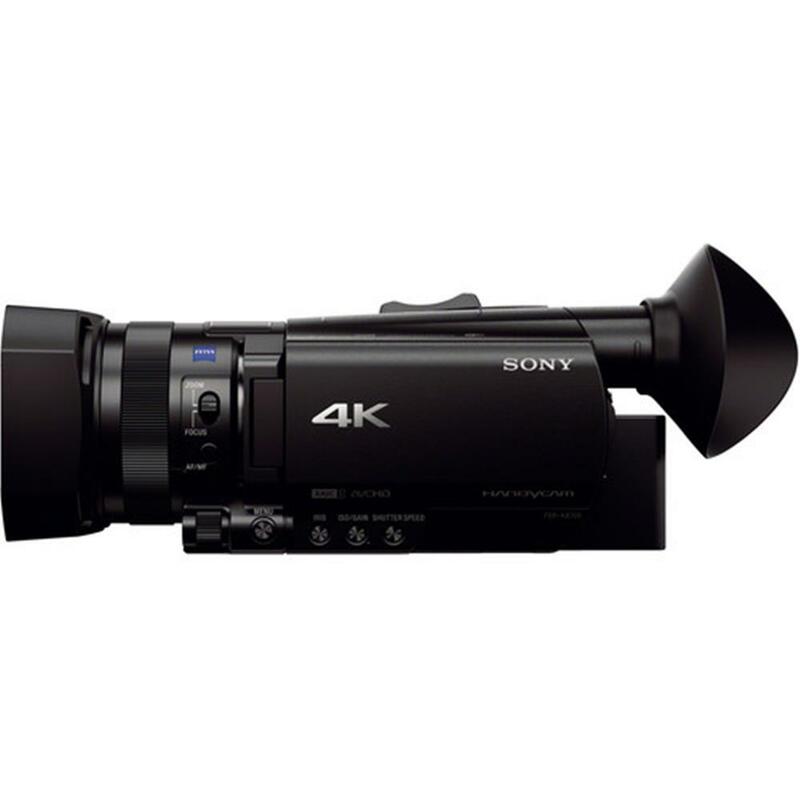 The 12x optical zoom increases seamlessly to 18x (in 4K) or 24x (in Full HD) thanks to the Super Resolution technology of Sony's Clear Image Zoom. The Digital Extender doubles this range yet again, up to 48x in Full HD. Lens ring enables smooth, natural adjustment of focus or zoom, depending on mode. A manual dial and buttons on the side of the body enable swift and easy adjustment of iris, ISO/Gain and shutter speed. The FDR-AX700 makes it easy to take advantage of shallow depth of field even in exterior day shoots. There's no need to carry and mount external Neutral Density (ND) filters. The built-in ND filter wheel has positions for Clear, 1/4 (2 Stops), 1/16 (4 Stops) and 1/64 (6 Stops). You can control Focus, Zoom, Rec Start/Stop and Rec Review via the LANC wired remote interface and an accessory controller like the RM-1BP or RM-30BP, sold separately. With this interface, the camera forms a powerful, yet simple live solution with the RM-30BP and MCX-500 multi camera live producer, both sold separately. You can also synchronize timecode among multiple camcorders using our free Content Browser Mobile 3.0 app with optional CBKZ-WTCL upgrade and devices running iOS (9.0 - 10.3) or Android (4.4 - 7.1) operating systems. 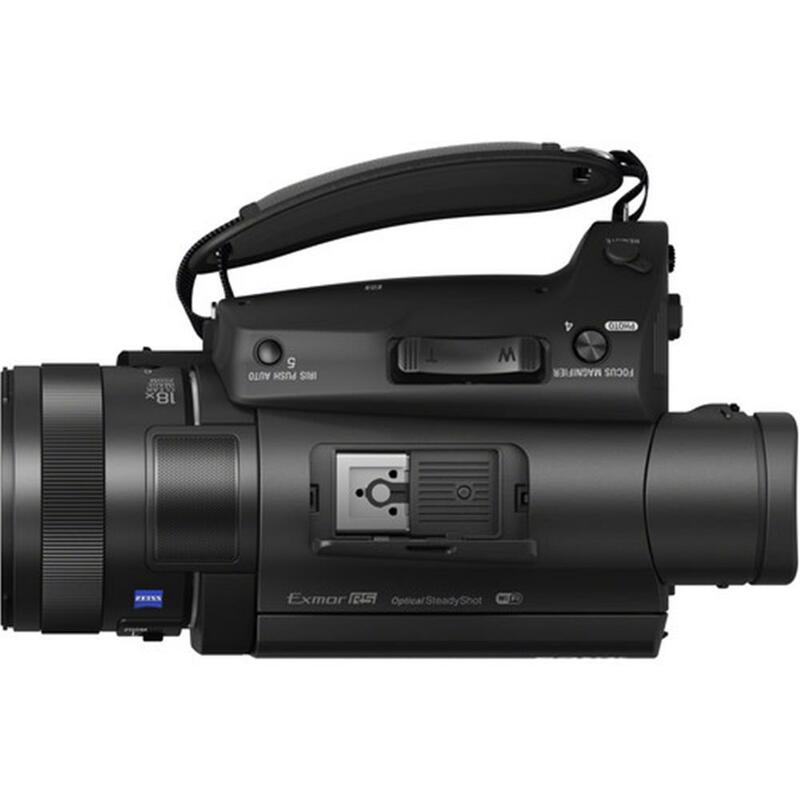 Sync to your choice of camcorder or to a time that you determine. For precise manual focus, Sony's 0.39-type OLED viewfinder combines high brightness and contrast with the resolution of 2359K dots. The highly responsive viewfinder also eliminates color breaking. For added flexibility in composing shots, Sony supplements the viewfinder with a 3.5-type 1550K dot touchscreen LCD monitor. The FDR-AX700 takes advantage of Sony's flexible Multi-Interface (MI) Shoe, which provides power, signal connections and coordinated on/off switching to compatible accessories. For example, you can connect and control Sony's 2-channel UWP-D Series wireless microphone systems (sold separately).